John Hodgman Reflects On His Mother's Death And White Privilege Hodgman says, "The biggest privilege of white privilege is the ability to turn off race and pretend that it is not an issue." His new book is called Vacationland. Growing up an only child in Massachusetts, humorist John Hodgman longed to be considered interesting. In high school, he grew his hair out, wore a fedora and carried a briefcase in an effort to look like Doctor Who. Hodgman says his look was modeled on "the fourth Doctor Who ... which was an emotionally terrified weirdo who is tricking people into thinking he was interesting by wearing funny clothes." 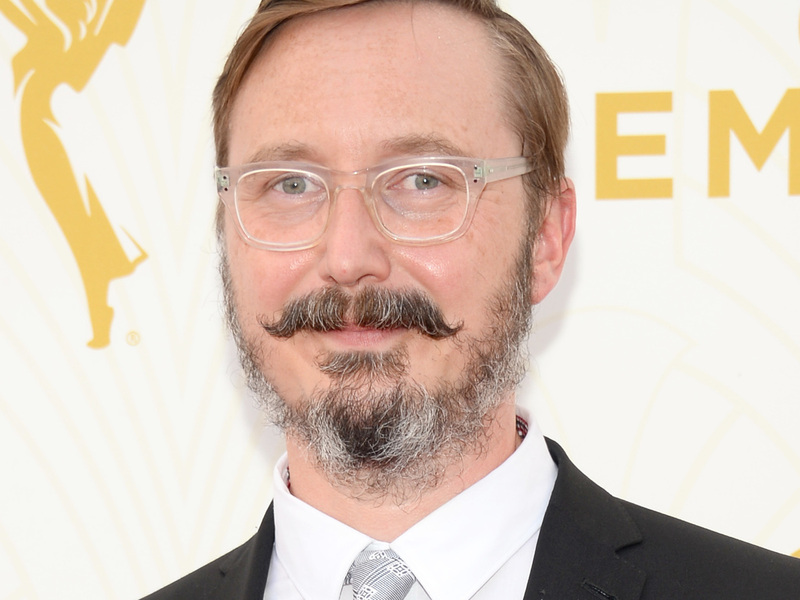 Now that Hodgman is 46, being interesting has taken on a different, more reflective meaning. 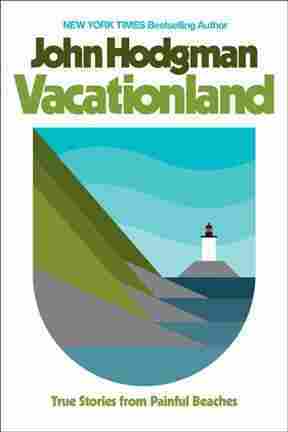 His new book, Vacationland, is a collection of humorous essays and personal stories in which the former Daily Show contributor reflects on his career, the death of his mother and his own experiences with white privilege. "The book is about, to some degree, moments in your life when you are faced with a sudden clarity of where you are in life," Hodgman says. "Sometimes that ... surrounds midlife, when you've maybe accomplished everything you think is most important, and ... then figuring out how to push forward from there." If my mom hadn't died, I'd still be working in book publishing. And I would have a fine life, probably, and I would've represented a lot of great authors. ... Or maybe I would've quit and gotten some other job. But the experience of my mom passing away made me understand a couple of things. My going away from my life to take care of something more important [his mother dying] was terrifying, because I thought everything back at my desk would fall apart and the people who had put their creative lives in my trust would be angry at me. ... But I went away and everything was fine, and I tended to this more important thing, and all of my clients and friends said, "Good, go and do that. We'll be fine." Learning that you are not the center of the universe is a hard lesson for an only child to accept, and my mom's passing taught me that. ... And then I also realized the most clichéd thing that any death teaches you, which is life is short. And so it became clear that if I were going to follow this other path I would have to start immediately. And so I did. The Exorcist terrified me. ... I would lie awake at night waiting for my bed to start shaking, because that's what happened in The Exorcist when the character was being possessed by the devil. And eventually it would shake because my heart was beating so hard and it was causing the bed to tremble. I ran into my mom — and I must've been about 11 or 12 — and I said, "I'm terrified of the devil possessing me!" And my mom was in bed reading and smoking — the two things she did in bed all the time — and she said, "Well, you don't need to worry about that because there is no devil. ... You don't know this, but I'm an atheist ... so I know there is no devil, because there also is no God." I'm like, "I know you're trying to be comforting to me, but that's not a comfort to me exactly in this moment." John Hodgman's previous books include That Is All and The Areas of My Expertise. I cannot lay claim to consciousness of my white privilege until two summers ago. I mean, the point of privilege is you don't realize it. We had bought a house in Maine. There are diverse places in Maine, but where we were is not one of them. Maine is the whitest state in the union, as of the last census, beating out Vermont by about 0.4 percent. Alton Sterling and Philando Castile were killed, shot by police, in quick succession [that summer]. And although Black Lives Matter had already emerged as a movement, it led to very big protests and then a very unseemly counter-protest on the Internet, the All Lives Matter movement. And I was reading all of this from a very comfortable place in my second summer home, in the whitest state in the union, on my computer. And I realized in one of these moments of clarity that if I closed my computer it could all go away, and I could go out into the world and not think about race at all, because there was only one race to see in this part of Maine, for the most part. Obviously there are exceptions, but statistically speaking. And that was a real moment where I was like, "Why did it take me till my 40s to understand that the biggest privilege of white privilege is the ability to turn off race and pretend that it is not an issue?" It happened specifically when I was teamed up with David Javerbaum, who is the executive producer, pretty soon after I started there. And he's an amazing comedic mind and joke machine, and I would spin out these complicated jokes and things he would go, "No, this is better." And he'd be right. It taught me to let go of my ideas and be open to other ideas and to shut up sometimes when another person needed to talk. It was an amazing experience. Roberta Shorrock and Seth Kelley produced and edited the audio of this interview. Bridget Bentz, Molly Seavy-Nesper and Nicole Cohen adapted it for the Web.